Time for Christmas fairs again! As usual we will be attending various Christmas fairs in the run up to the 25th December. It would be lovely to see old and new friends at these events so please do join me. I will be attending two new fairs this year. One of these is being held in the stately De Rothschild Mansion of Tring Park School for the performing arts. My daughter’s both attended this school at different times of their lives and I am looking forward to visiting the beautiful mansion once again. The second new fair for AuraDecor Designs is in the pretty market town of Redbourn in St Albans. I am looking forward to a traditional Christmas celebration with lots of carol singing, bell ringing, warm mince pies and the happy sounds of people having fun. 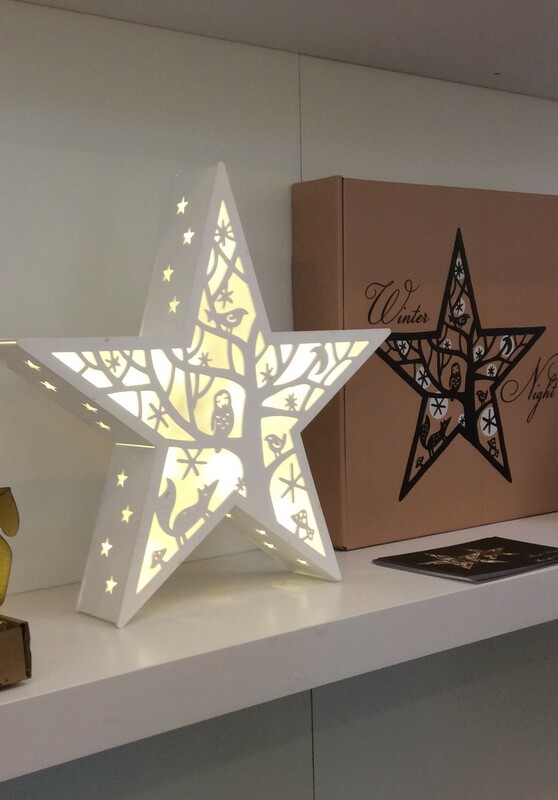 Alongside the popular gifts and home decor accessories that we are well known for, we have new and exciting products to showcase. From striking red suede kudu sculptures for the wall to our fabulously colourful ceramics and luxury quality tea towels. 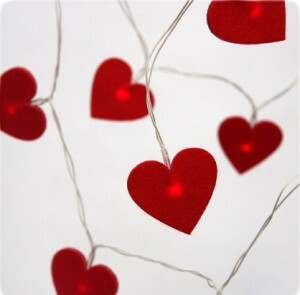 I think you will be spoilt for choise and will hopefully find a unique gift with a difference for special friends and family. It is that seasonal time of the year for festive Markets and Fairs and so below you will find a convenient list of dates for your diary. 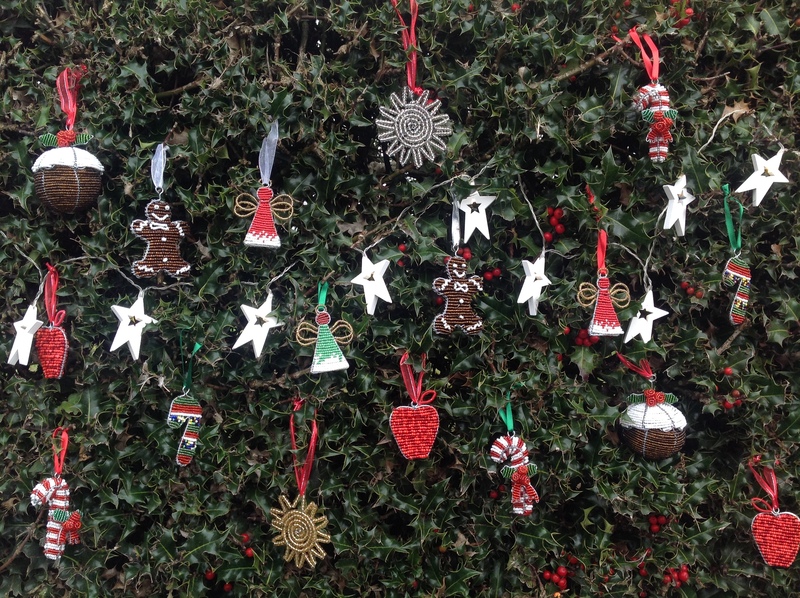 This year we are excited to be organising the Sarratt Christmas Fair and supporting ‘Hope For Children’ charity – read here about how this Fair has come about. We are also once again participating in the annual St Albans Christmas Market which takes place in and around the Vintry Garden, a beautiful walled garden adjacent to the magnificent 11th-century St Albans Cathedral. Our cosy log chalet will be our ‘home’ from Saturday 9th Dec until Friday 15th Dec. Come and visit this picturesque market, we would love to see you there. Come along to one of these festive Christmas Markets and Fairs, enjoy browsing the variety of stalls on offer, tick off your gift shopping and support local small businesses at the same time. We look forward to seeing you there. We are so excited to be organising the Sarratt Christmas Fair at the Sarratt Village Hall this year on 8th December 2017. Following ten happy and successful years at The Granary, we are now reopening the Christmas market and expanding the range of quality products on offer. We look forward to welcoming you at our new venue in Sarratt Village. All details of the Fair are on our Facebook Event page – the date, time, participating stall holders, and products available to buy. We are especially pleased to be involved in raising funds for the charity Hope For Children. Our Pop Up Café will be selling teas, coffees and delicious cakes with all the proceeds being donated to Hope For Children. You can read more about the amazing work of Hope for Children here and also find out how we will be supporting the Head Head High campaign which the charity is currently a beneficiary of. So mark the date on your calendar (it really isn’t that far away!) and come and say hello to all the wonderful stallholders who will be helping to bring you a fun relaxed day of Christmas shopping. My interest in the Danish word “Hygge” was well and truly peaked recently. In the same week I read an article about the art of hygge in the “Inflight” magazine whilst on a flight and then I found it featured in a popular women’s home magazine where they discussed the Danish love of candles and cosy items in the home, and finally it was used as a ‘hook’ to sell home ware products and home fragrances on a well-known online retail website. The word hygge (sounds a bit like “hooga”) roughly translates to cosiness. According visitdenmark.co.uk, hygge is as Danish as pork roast and cold beer and it goes far in illuminating the Danish soul. In essence, hygge means creating a nice, warm atmosphere and enjoying the good things in life with good people around you. In reality however, it means so much more. Fathomaway.com uses a tongue in cheek guidebook, “A Zenophobe’s Guide to the Danes” to explain that translating hygge as cosiness is inadequate and simplistic, as they say that hygge has more to do with people’s behaviour towards each other. It is the art of creating intimacy: a sense of comradeship, conviviality, and contentment rolled into one. Danes are often considered to be the happiest people in the world so it made me keen to draw parallels with my own South African roots and find out what hygge might mean to us. I can picture a scene from my own childhood in the middle of a cold wet winter in Cape Town. The family would have gathered around a roaring fire, our cats would have draped themselves comfortably over the sofa and easy chairs around the room and one of my brothers would be playing chess with my dad whilst the other one looked on awaiting his turn. My mum and I would probably be watching the tv and I remember a wonderful aura of contentedness in our togetherness. Could that have been hygge? 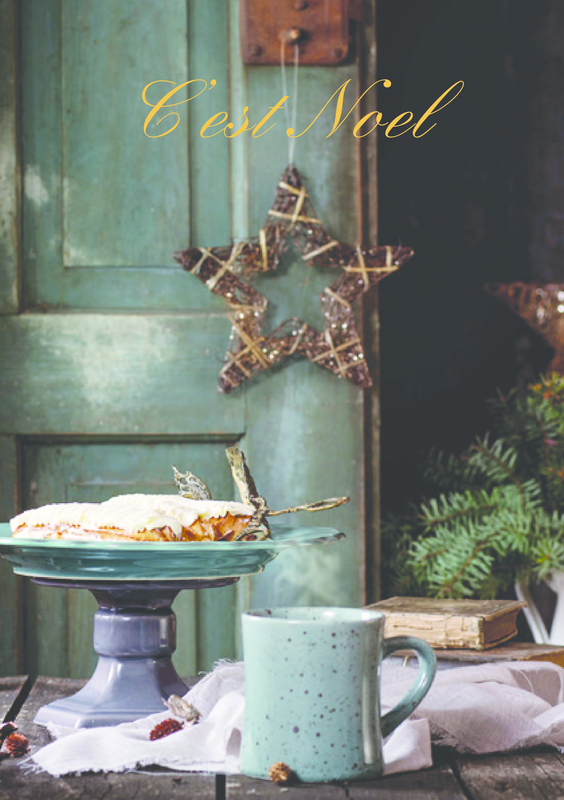 The word that best encapsulates the art of hygge South African style would have to be “Geselligheid” which in the Afrikaans to English dictionary means………. Social! Last weekend we celebrated a grandmother’s 90th birthday. The family flew from all parts of the globe to Switzerland to share in the festivities. The last time we had all been together at the same time was 18 years previously so it was a truly special occasion. 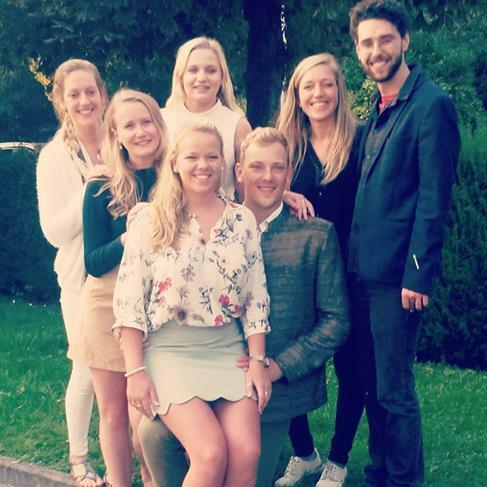 On our final day together we gathered in the warm early autumn sunshine for a barbecue or braaivleis. A neighbour arrived just before the fire was lit with the contents of a large box of left over wine from a South African wine tasting event that she had organised the day before. She had very cleverly deduced that we would appreciate the leftover bottles of excellent wine. As the barbecue got under way the two self-appointed chefs debated loudly as how best to cook the succulent Swiss sausage and homemade burgers, the younger adults discussed the merits of each wine and everyone seemed very comfortable, relaxed and happy to be together and belong to the family unit. Definitely a hygge moment, with an unmistakably South African twist. For South Africans, “Gesellig” would involve a crackling fire, tasty food, good quality wine and plenty of cheeky banter with friends and family. Now does that sound like the art of creating intimacy: a sense of comradeship, conviviality, and contentment rolled into one to you?……………certainly does to me! Yep, it is time for Christmas Markets and Fairs – and it has to be said that AuraDecor Designs are rather selective with the annual fairs which we attend, so you can always be sure that there is a relaxed friendly and festive cheer at all of our events. 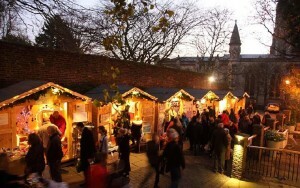 NEW: We are excited to announce that this year we will have a log chalet at the St Albans Christmas Fair. This annual event takes place in and around the Vintry Garden, a beautiful walled garden adjacent to the magnificent 11th-century St Albans Cathedral. The 2016 Christmas Market will run from Thursday 24th November to Sunday 18th December 2016. We will be trading from Mon 5th Dec until Sun 11th Dec.
Another new event for us this year is the Chiltern’s American Women’s Club annual Charity Christmas Bazaar, this will in fact be their 29th year! Click here for details about the worthy causes which CAWC are supporting this year. We will have fabulous new Homeware and Gifting products for sale, as well as the old favourites… with our unmistakeably South African twist – Home Fragrance, Lighting, Textiles, Ceramics, Gifts for Teens, Gifts for Him and Her, and our popular Uniquely African Beaded range. It’s time again for the ‘ Teachers Gift Hunt ‘ as the academic school year once again draws to a close this month… Gosh, where did that year go? Say Thank you to their teacher, teaching assistant or headmaster with a unique gift. 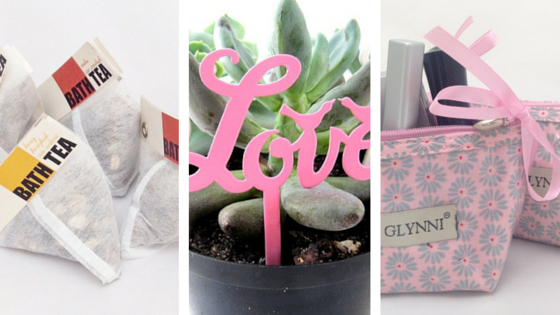 If you want to avoid the predictable box of chocolates or bubble bath, here are some suggestions of alternative and inexpensive gifts under £10. There are so many things to focus our energy on at this time of the year – the endless schedule of assemblies, school plays, sports days, open evenings and induction days! Make life easier with the benefit of armchair shopping and use our list of teachers gift ideas to easily tick ‘Teachers Gift’ off your To Do list. These and other gift ideas available to purchase on our website. As we are already more than a quarter of the way through 2016 we thought it would be a good time to update you on the activities that have been taking place behind the scenes at the AuraDecor headquarters. Both Teresa and I have been fortunate enough to visit Cape Town this year. During my visit in early March I discussed potential new products and branded packaging with our suppliers. We are very excited to be launching a new bespoke fragranced soap range which showcases the wonderful floral scents of the Cape. The protea shaped bar is offered in three colours and fragrances. All of our soap is made with gentle goats milk, scented with essential oils and handmade with loving care by Emily from Rose En Bos. If you have ever had an aromatherapy session then you will probably recognise the fragrance of our neroli and rose geranium soap………. beautiful! The third fragrance in this range is Fynbos of the Cape. Those of you that have visited Cape Town will instantly be transported to a Table Mountain walk where the spicy smell of the flora or ‘fynbos’ drifts on the wind. The new soap range is ‘dressed’ in our smart new packaging. 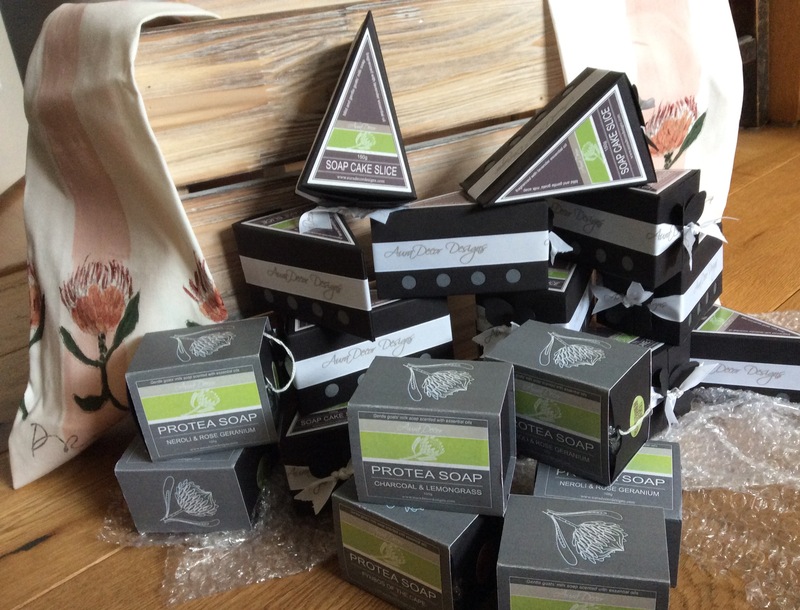 It was an exciting moment when Teresa arrived back in the UK from Cape Town with samples of our soaps in their new ‘livery’. We have restocked our most popular lines and will be showing these at the Hospice of St Francis Garden Party in the historic grounds of Ashridge House in Berkhamsted, Hertfordshire this Sunday 22nd May. If you have not visited this event before we would love to see you and please bring the sunshine with you! The weather may be chilly but the welcome will always be warm. The Hospice of St Francis supports the local community and we feel privileged to be a part of this important fundraising event. Researching the origins of our most loved Christmas traditions, the story of why we hang up a Christmas Stocking by the fireplace has several legends. One of the popular legends tells the story of a widower who lived in a small village with his three daughters, he could not afford to provide a dowry for them and so they would not be able to be married. St Nicholas was passing by the small village one night and heard of the family in need. Knowing that the widower would not accept charity, he dropped 3 gold coins down the chimney and they landed in the girls stockings which were hanging up to dry by the fireplace. And thus the modern tradition was born. Children all over the world continue the tradition of hanging an empty Christmas stocking on the mantelpiece, bedposts, doorknobs or staircase, in the hope that Santa Claus will fill it with small gifts or treats. In some Christmas stories, the Christmas stocking gifts are the only toys the child receives at Christmas from Father Christmas, while in other traditions some presents are also wrapped up and placed under the Christmas Tree. But it is not only children who eagerly await to have a stocking filled with gifts, many teens and ‘grown ups’ hang up a Christmas Stocking in anticipation too. The largest Christmas stocking measured 51m 35cm in length and 21m 63cm in width (heel to toe) and was produced by the volunteer emergency services organisation Pubblica Assistenza Carrara e Sezioni in Carrara, Tuscany, Italy, on 5 January 2011. The event was organized in order to raise money for a charity helping the aged, and it was also a seasonal celebration for the city of Carrara. Fulfilling the guideline that the stocking had to be filled with presents, the volunteers filled the stocking with balloons containing sweets inside. 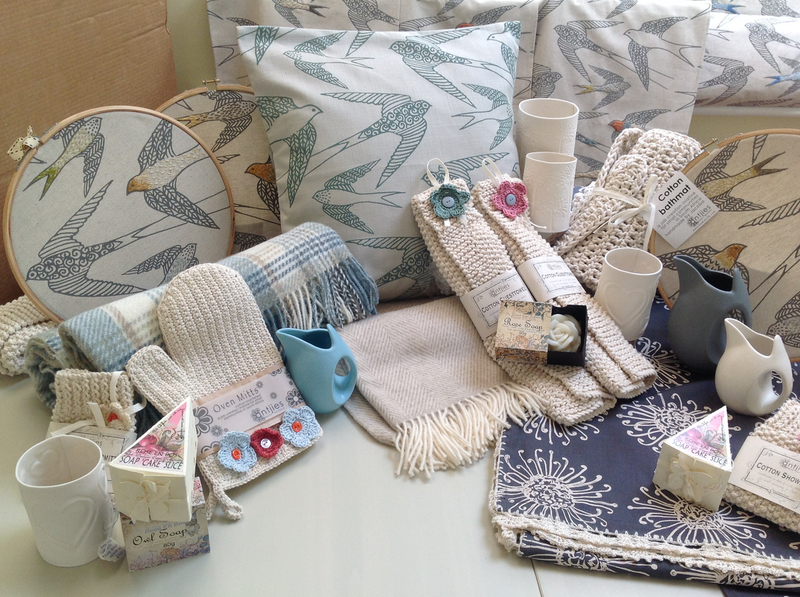 AuraDecor Designs supports several local and national causes, by exhibiting and selling our range of Homeware and Gifting products at Christmas 2015 Fairs, and by providing raffle prizes and auction donations. We have fabulous new products in stock this year – Home Fragrance, Lighting, Textiles, Ceramics, Gifts for Teens, Gifts for Him and Her, and our popular Uniquely African Beaded range. 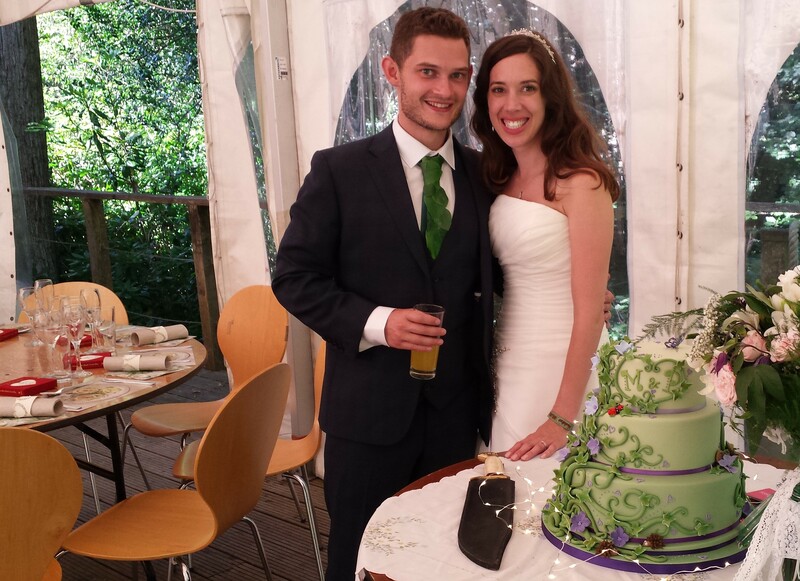 “My daughter and her husband-to-be booked their wedding in an outdoor venue in the New Forest, with an overall vision of a “fairy festival” theme. 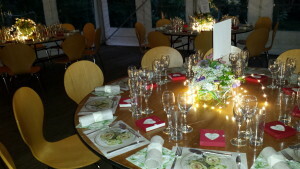 They organised a hog roast and salads, and decided they wanted people to sit informally at the tables. Although they decided against formality, they still wanted a sense of celebration. We decided to use the Vintage Romantic ‘Set to Impress’ boxes, and went to work the night before to transform the marquee into a beautiful dining area. We weren’t disappointed! The printed mats gave us a quietly understated quality when placed direct on the wooden tables, while the napkins, confetti and table lights complimented the flowers, cutlery and wedding favours perfectly. The marquee looked really pretty, and the happy couple loved it. Congratulations to the happy couple. We love the magical effect you created with your table center pieces, combining the light chains included in your ‘Set To Impress ™’ boxes with your flower arrangements. See all the designs available in the ‘Set To Impress ™’ range of themed party table decor. With venue styling themes in pre-packaged sets, your party table decor couldn’t be easier to arrange.